Therapeutic massage can ease the physical discomforts, stress, and anxiety many women experience during pregnancy. It can help reduce edema in the extremities, improve circulation and reduce spasms in tight overworked muscles, improve posture and restful sleep, increase relaxation, and help women feel nurtured. Women who have utilized massage during pregnancy find that they are more aware and in-tune with their own bodies. They feel this increased awareness has improved their experience of labor and improved their ability to participate in the delivery process. Swedish Massage-A system of long strokes, kneading and friction techniques on the more superficial layers of the muscles, combined with active and passive movements of the joints. Combination of deep tissue massage, gentle touch, and rubbing to release tension, restore circulation, and relieve pain. CranioSacral Therapy- A gentle, hands-on method of evaluating and enhancing the functioning of a physiological body system called the CranioSacral System – comprised of the membranes and cerebrospinal fluid that surround and protect the brain and spinal cord. Using a soft touch generally no greater than the weight of a nickel, practitioners release restrictions in the CranioSacral System to improve the functioning of the Central Nervous System. By complementing the body’s natural healing processes, CranioSacral Therapy is increasingly used as a preventive health measure for its ability to bolster resistance to disease, and is effective for a wide range of medical problems associated with pain and dysfunction. Acupressure-Asian-based systems of finger-pressure which treat special points along acupuncture “meridians” (the invisible channels of energy flow in the body). Trigger Point-(also known as Myotherapy or Neuromuscular Therapy) – applies concentrated finger pressure to “trigger points” (painful irritated areas in muscles) to break cycles of spasm and pain. Deep Tissue-releases the chronic patterns of tension in the body through slow strokes and deep finger pressure on the contracted areas, either following or going across the grain of muscles, tendons and fascia. It is called deep tissue, because it also focuses on the deeper layers of muscle tissue. Massage For Seniors- As we age our body gradually loses some of its ability to spring back and repair itself as efficiently as it once did. We naturally lose muscle tone, flexibility and coordination and it takes a longer period of time to heal and recover from injury and illness. Therapeutic massage can help address these physical changes that come with age. It can help speed recovery and healing after surgery, ease the pain and muscle contractions that come with Arthritis, enhance restful sleep, ease breathing and increase vitality, energy and mental alertness. 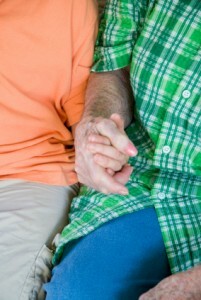 Therapeutic massage is a vital resource for a terminally-ill person or for End-of-Life Care. The physical pain, natural sense of fear, emotional isolation and sometimes physical isolation that can occur during this process is alleviated with nurturing, gentle, pain reducing touch from a trained massage therapist. The sessions can occur in any setting and are structured around the specific needs and the medical condition of the individual.